El pasado 12 de Febrero tuve la gran suerte de poder disfrutar de un día de actividad escolar con nuestros hijos. Es increíble ver cual diferentes son bajo nuestro amparo, en el modo de actuar y desenvolverse solos, en un entorno tan familiar como para ellos es ¡El cole!. Desde el primer momento hasta el final, cada uno de los minutos, con todas sus rutinas y actividades incluídas, ves como estas "mini personas" escuchan y se esfuerzan por superarse en cada pregunta o problema que se les expone, levantan sus pequeños brazos, ves como sus ojos miran al cielo intentando encontrar la respuesta a lo que se les ha planteado, y una vez empiezan a compartir sus respuestas,encuentras en muchas de ellas la inocencia, como no, de lo que son, nuestros pequeños. Doy profundamente las gracias a todos los docentes que están aquí, formando y educando a nuestros hijos, en lo profesional y en lo personal, esforzándose cada día por llegar a los objetivos del sistema, e incluso en algunos casos y según qué métodos, superándolos.Y en cuanto a lo personal, ni que decir queda, confiamos en ellos, les dejamos lo que mas queremos, nuestros pequeños tesoros, sabiendo que se está forjando una persona, en la que quedará gran huella, tanto por la educación que reciban en casa, como los conocimientos y valores adquiridos en el Centro, por ello y desde aquí, GRACIAS y seguiremos trabajando en equipo para conseguir la mejor educación. Last Wednesday, students from Secondary had a special P.E.lesson. They learnt about a new sport. 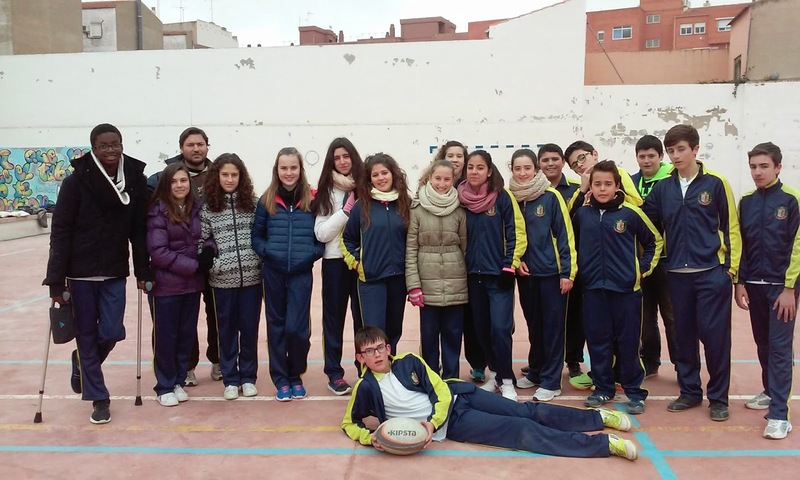 As an activity in "+Activa program", a rugby coach came from Albacete to explain how rugby works. 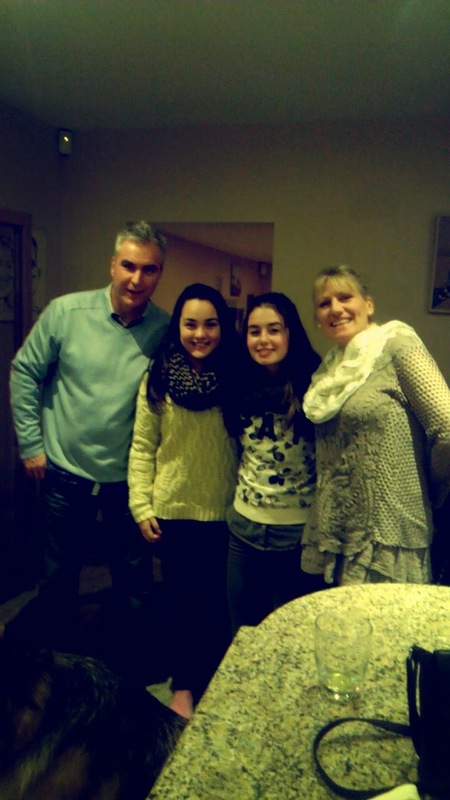 "Students from Secondary stay with English families in England"
Asun, Ana and me, Belén, have been the resposible teachers and really we are very pleased and glad with this experience. Even we have been congratulated by the responsible staff from Sheffield about our students' behaviour, and their frienship, kindness and high English level. We want to please to all the families so much confiance they have in our school. Really they have shown how they rely on Episcopal O.M. Ekumene school. Thanks to them ,this aim in our bilingüal program and in this trip to Sheffield has been possible. 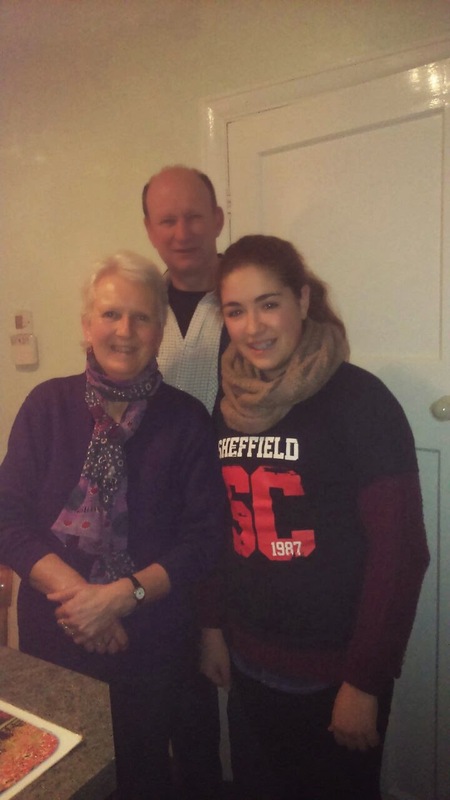 They have given me a great "Goodbye" and " Welcome"
Furthermore, we have got information in our stay in Sheffield, for our school +ACTIVA program. Here there is an evidence about this. 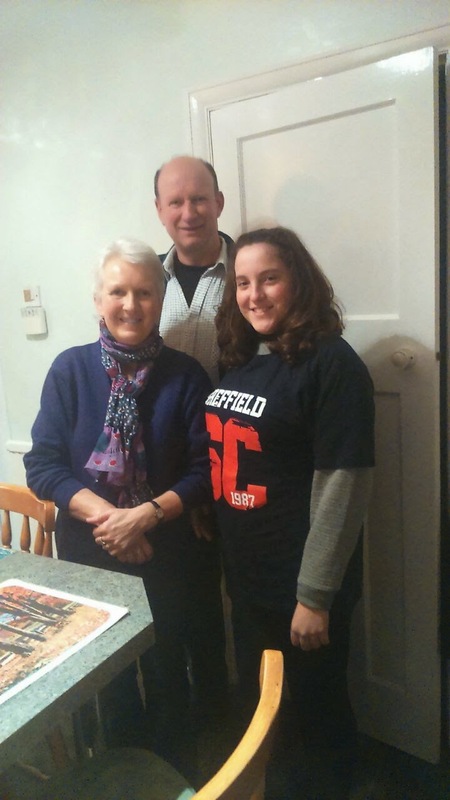 It's an interview some students have done to their family there in Sheffield, about how healthy their life is. CARMEN ( second level): "In general, it has been a very good experience. We went to bed early because there were little children at our family. I would like have spent more time with the family. The woman was very nice. I have enjoyed a lot. And it's an experience I would like to have again." 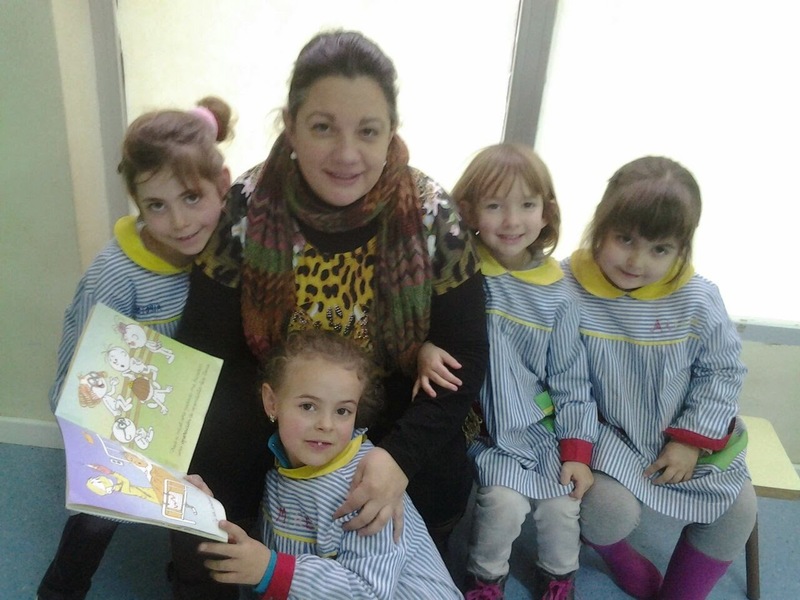 ANDREA RUANO ( second level): "In general, I have enjoyed the experience. The family has been very nice. I would like to come back and live again this experience. I would have liked going out with Helen and the children ,but they were little and had to go to bed early. 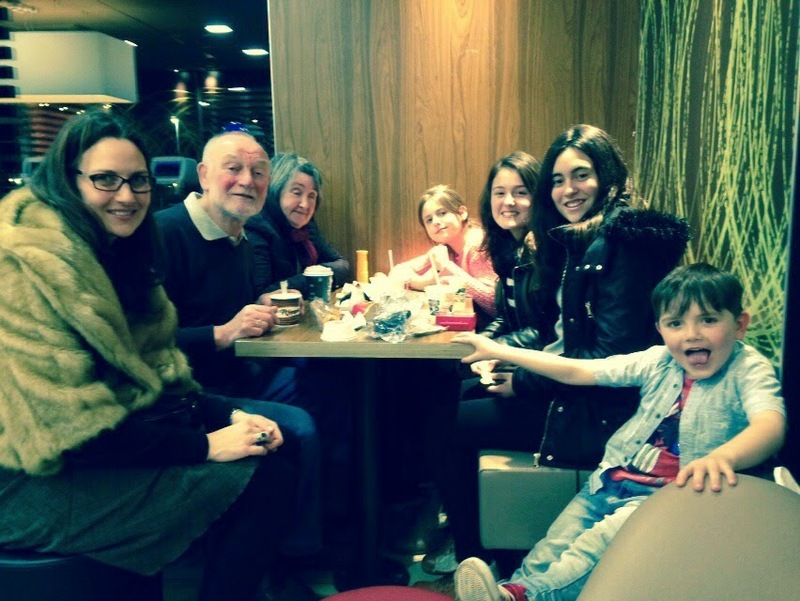 Both Helen and the children were lovely"
PAOLA (first level): "The trip for me has been perfect, really cool!. 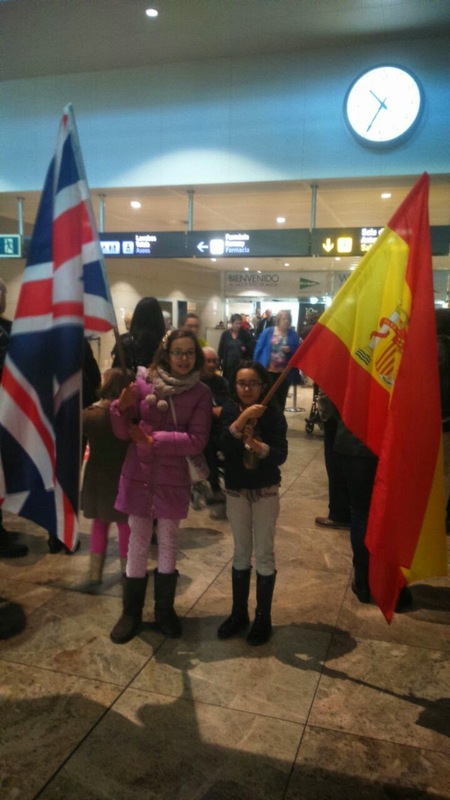 People from Sheffield were so nice that when they realised we were spanish, they helped us as much as they could. 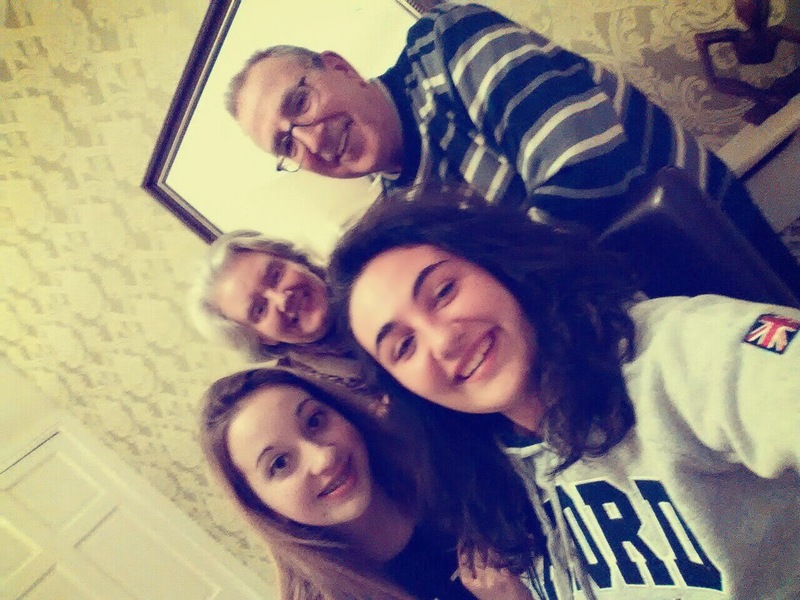 My family was the best one. I felt like at home. 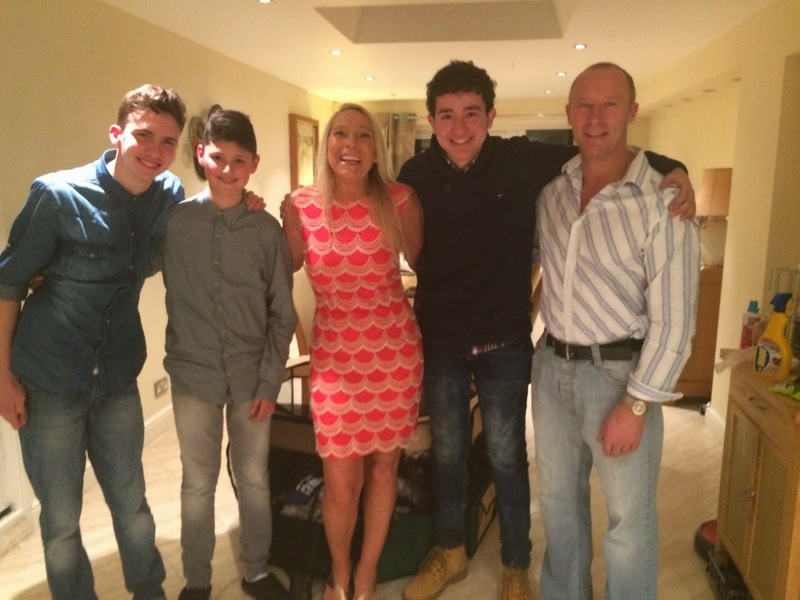 It has been very funny and everybody was so nice"
PATRICIA (second level): " My experience has been very good. 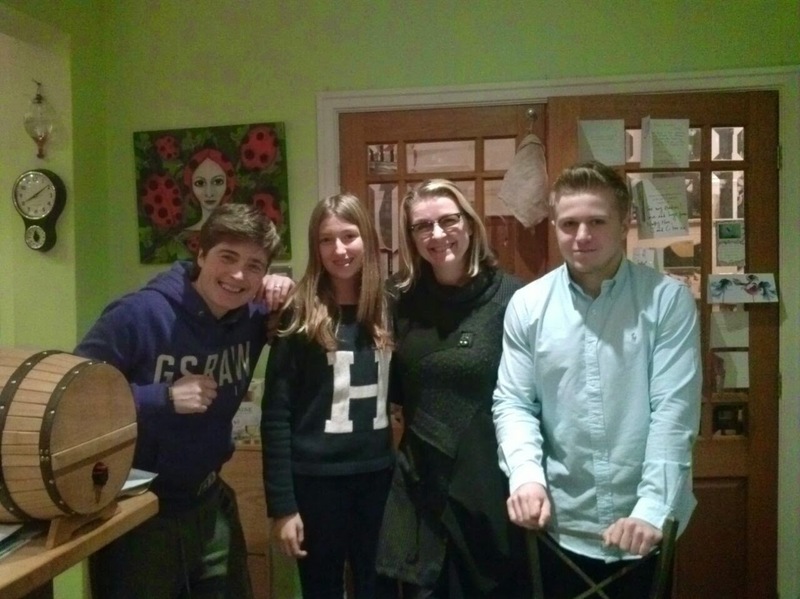 Our family has looked after us very much. All the time they were worried about what we could need or if I liked the food. I have loved this trip." NATALIA (second level): " It has been a very good experience and I would like to come back. The family has been very nice with me and my partners. 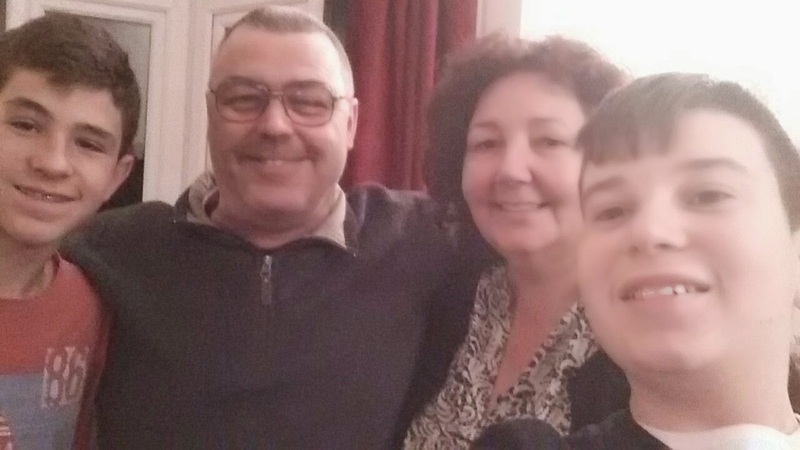 I would have liked to spend more time there to get to know more and better the family." ANDREA FITO (second level): "It has been a very positive experience that I would like to do again. Our family loked after us very much. They were all the time worried and very nice about us." 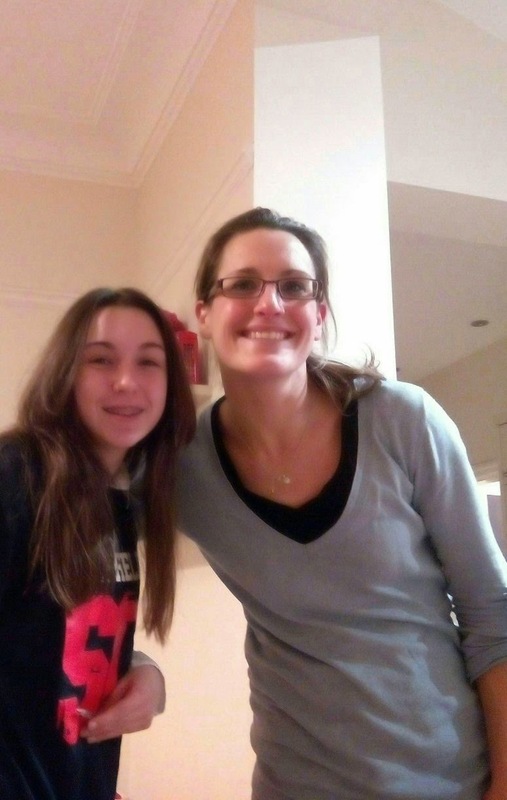 LAURA (second level): " I have enjoyed a lot living this experience with so nice and friendly people. They helped us all the time about we could need." PABLO (second level): "My opinion is excellent. 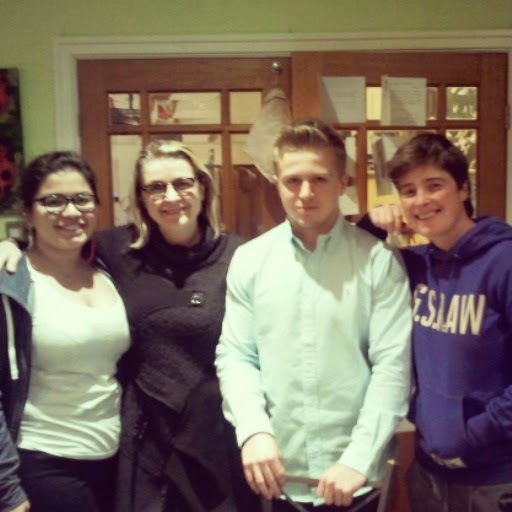 The family was so nice!. I am very glad to have met them. They are very nice people and their behaviour was great. They are very happy and funny. I would like to come back to the same family." ADRIÁN (fourth level): "It has been an unforgetable experience for me. The most interesting for me has been the trips to Doncaster and York. The family has been very nice with me and we had everything we needed. 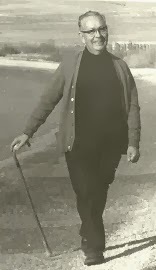 Especially Nathalie, the woman in the house, we have spent a lot of time with her and I will never forget her." OSCAR (fourth level): "My opinion about my stay with the Helmet family is that I would like to come back and live again this experience. I even invite other students to live this experience." MARÍA MARTÍNEZ ( second level): "In general, the experience has been very positive. I have tried to take advantage of everything and enjoy so much as I could with my partners. It has been a very nice trip and I hope to come back the next time." MARÍA LÓPEZ (second level): "For me, the experience has been very good. I have had a very nice time visiting so many places. 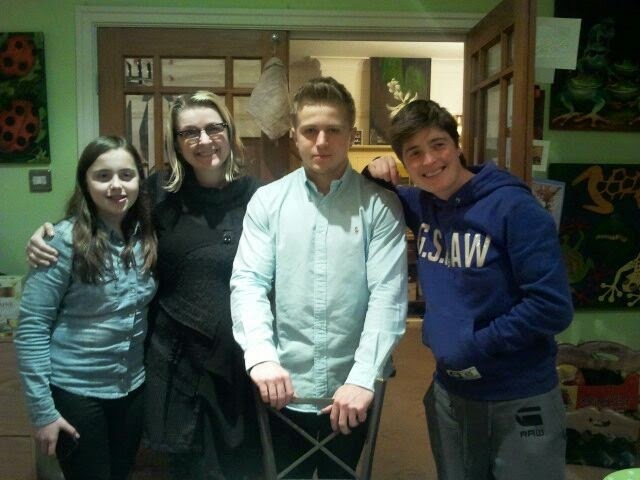 I have practised a lot of English with the family and everytime I was out,for example, when I was shopping. I would like to live again this experience." 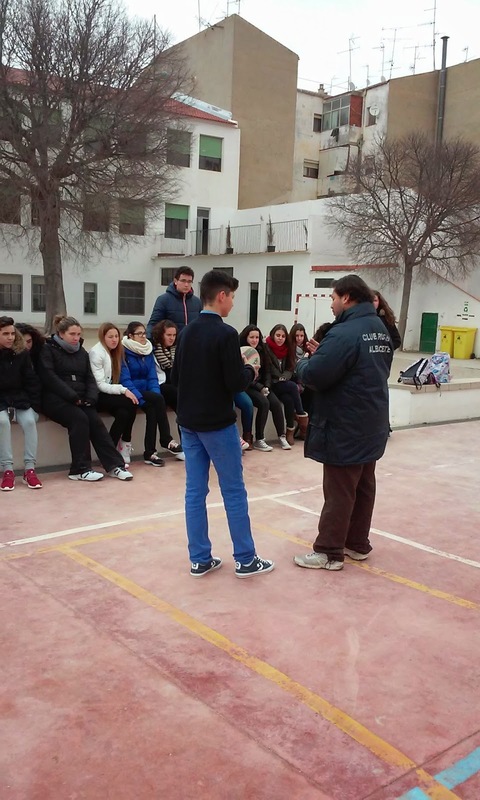 JOSSUE (third level): " This trip has been for me at the same time a cultural, leisure and end of year trip. About leisure, I have spent a very nice time with my partners and friends from school when we were shopping and we have spent five wonderful and great days. About culture, I have learnt amazing things about the York river, its wall, its buildings, the York battle, Sheffield Town Hall and a lot of interesting things else. About English language, I have realised how different English people speak at the street from the English that is spoken at school by the teachers. Their pronunciation is very quick but clear. Next time, depending on my marks at achool ...I will come back. To sum up, I have liked it very much!". ALEJANDRO (third level): "I have liked the experience very much. I lived one before in Ireland last summer, though. Alison, the woman in the house, was the person who looked the most after us. We hardly ever saw her children because they were studying at the university. We managed very well taking the bus. Next time, I would like this experience to be longer. I love Sheffield." 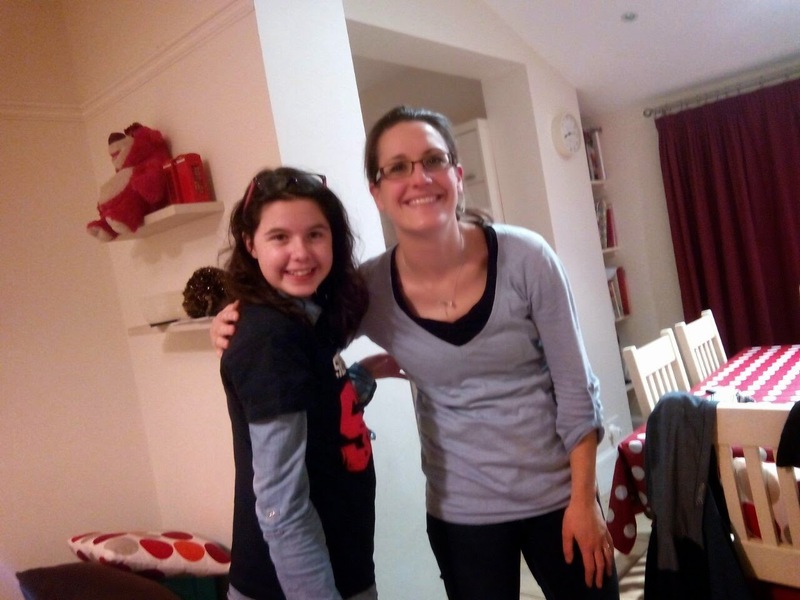 BLANCA (fourth level): "I think it has been very nice so the families have been very kind. We have visited the town properly and even sightseen two more towns. We have managed to take the bus everywhere. And we have lived with a family with a different culture to ours. The only thing I would change it would be the time, next time at least one week." 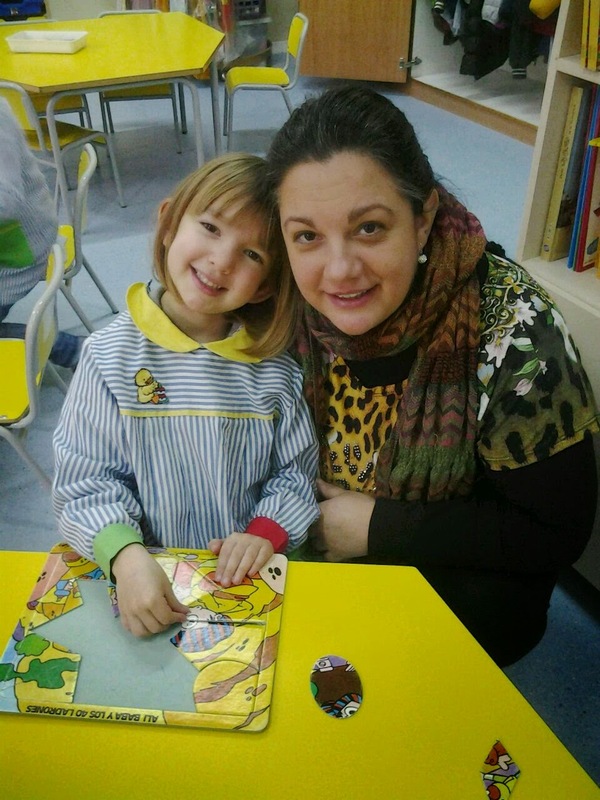 Mª BELÉN (fourth level): " I have learnt and practised a lot of English. I have realised that I can manage in any situation in English with the knowledgments I have about English language. Sheffield town is very nice, even its people who are really nice and friendly. 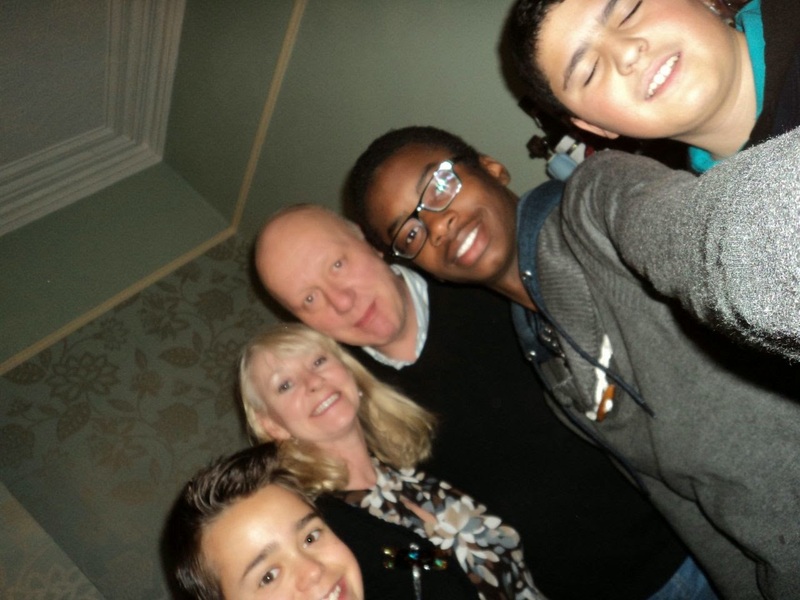 I am very glad and happy with my English family: Elaine & David. They have looked after me as a "princess" and they have helped me very much. Even now, we keep in contact by email." 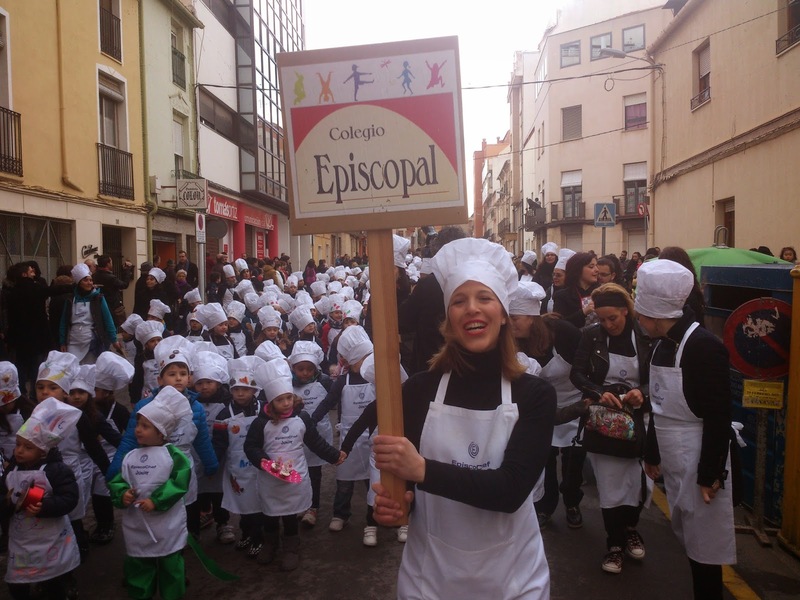 A lo largo de esta mañana de domingo y a partir de las 11 h se ha desarrollado el desfile de carnaval infantil organizado por las AMPAS de nuestra localidad de forma conjunta con la Concejalía de Educación. El resultado ha sido muy satisfactorio pues ha habido una gran participación de público, tanto de niños como de padres y madres. Nuestro cole ha participado con un gran número de niños. La temática elegida este año ha sido el popular concurso televisivo "Master Chef Junior", del cual nuestros representantes han hecho su peculiar versión denominada "Episcochef Junior". 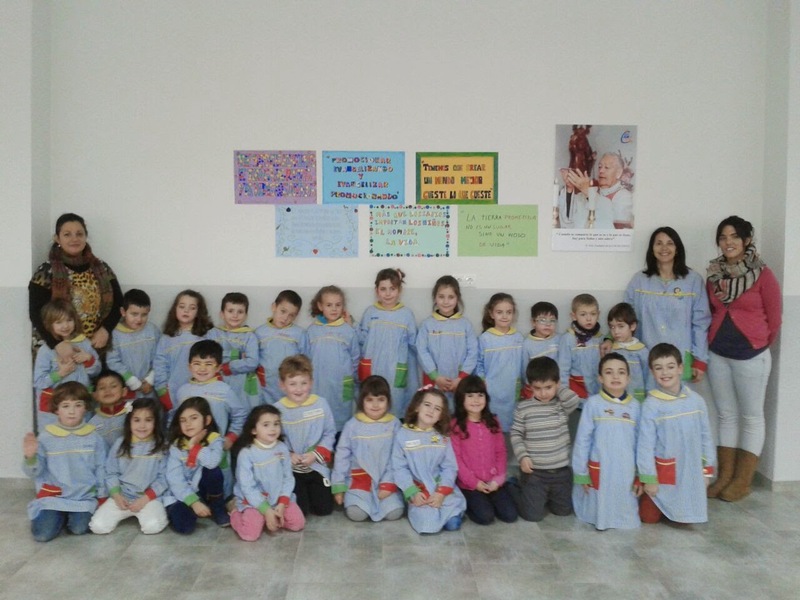 Cerca de 150 alumnos han tomado parte de esta iniciativa, desde los niños más pequeños de infantil hasta los de 6º de primaria. Estos últimos, junto con sus compañeros de quinto, han participado de forma muy activa, ya no solo bailando sin parar durante todo el desfile, también han ido ofreciendo productos alimenticios caseros y fruta, al público asistente. Un gran aplauso a todos los participantes, ya que entre todos hemos hecho que nuestro Cole siga siendo un Colegio muy Activo.